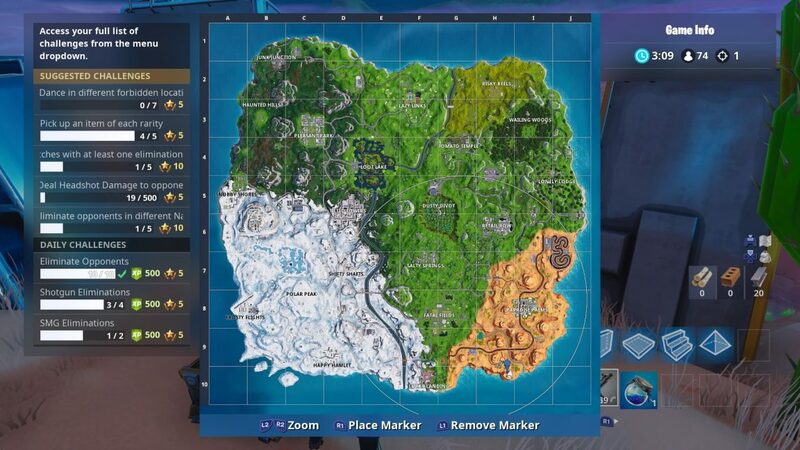 There might be a whole lot of fresh snow on Fortnite Island, but you’re going to have to steer well clear if you want to complete stage 1 of this week’s Battle Pass challenge. Here’s where to dance on top of a crown of RVs in Fortnite. The location you’re headed to is in the far southeast of the Fortnite map, to the south of Paradise Palms. There’s a tall hill to the south of the unnamed village in this area, and at the top is where you’ll find the crown of RVs. Use one of your dance emotes from your inventory, and the challenge will pop! 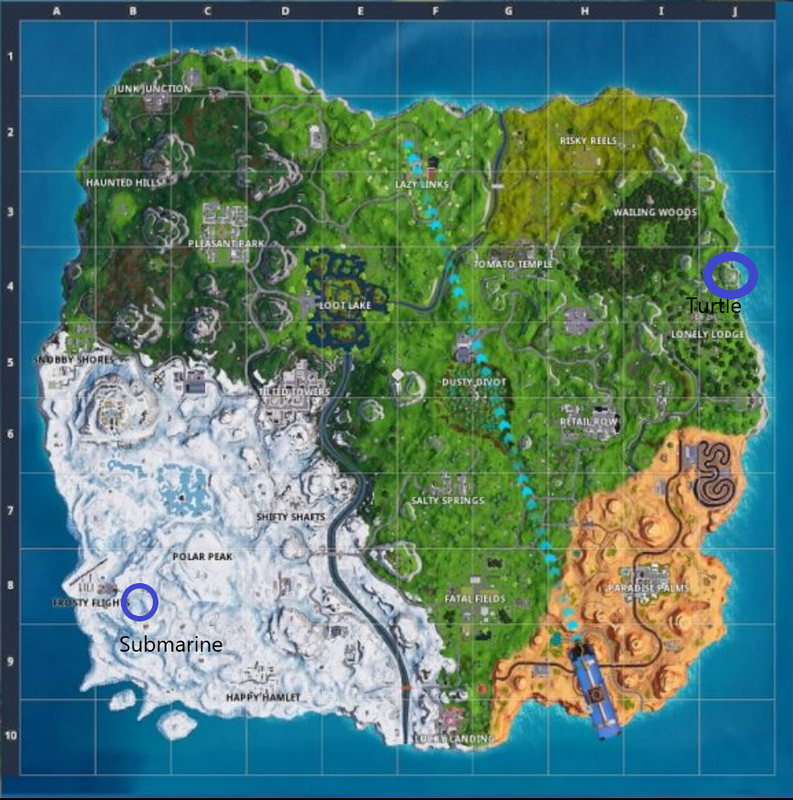 The Metal Turtle is over on the eastern side of the map, near to Wailing Wood. It’s high up on a hill, so we’d recommend dropping in on top of it. The Submarine is deep into the new Iceberg Biome, right next to the last “S” in Frosty Flights. It’s perched on the tip of a mountain, so you’ll definitely want to drop in on top of this one as well. 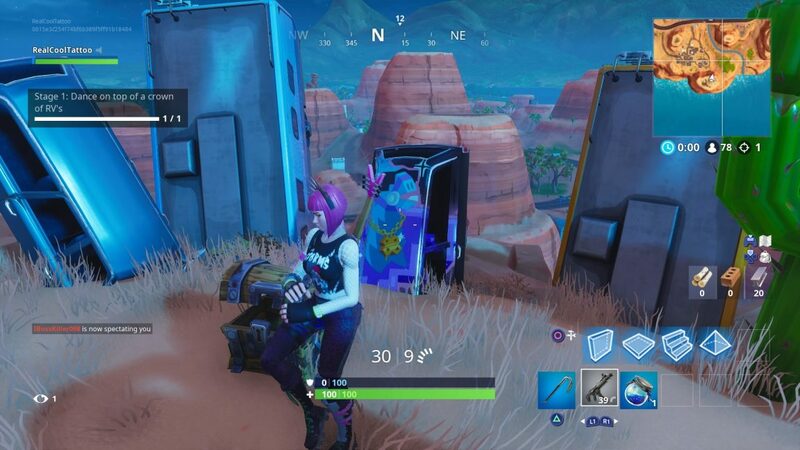 The post Fortnite: Dance on top of a crown of RVs, Metal Turtle, and a Submarine appeared first on VG247.